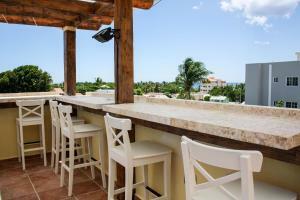 ﻿ Best Price on Bayahibe Apartamentos in Bayahibe + Reviews! Located in Bayahibe, Bayahibe Apartamento offers an outdoor pool. This self-catering accommodations features free WiFi. The Tracadero Restaurant and Spa is less than a minute's walk away. On-site parking is included at no extra cost. This bright apartment provides air conditioning and a furnished terrace overlooking the pool. Guests will find a full kitchen for the preparation of meals. The bathroom includes a shower. En suite laundry facilities are provided. 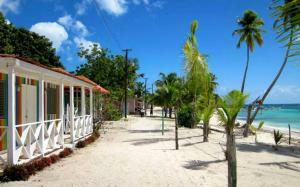 Bayahibe Apartamento is 9 minutes' walk from the beach and 3 minutes' walk from the village shops. Las Americas Airport is 73 mi away.